So from now on I’m changing the way I go about this blog. I realized I need to write down the recipes as well if I cooked. Also I’m about to catch up on alot of posts. I’ve been slacking on my pimpin! So forgive me If I’m short on some descriptions. I’d like to think if the food was excellent that the memory of it will still remain. Also I’m doing it from the iPhone app so me no likey typey on here. Lol. So these pics are of the starters at ham and high. They are a farm to fork restaurant that even has their very own farm that they grow various herbs n veggies. 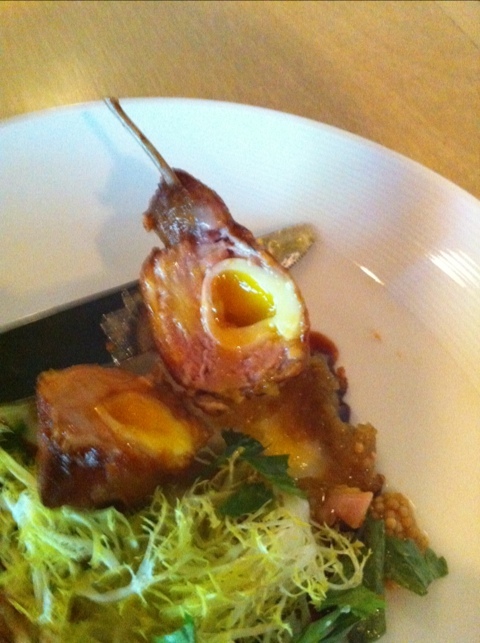 The first is bacon wrapped quail with a quail egg inside. Beautifully cooked and it has bacon so Nuff said. But really it was a great dish. As u can see the egg was not over cooked so it added to the sauce and gave it a nice richness to the dish. 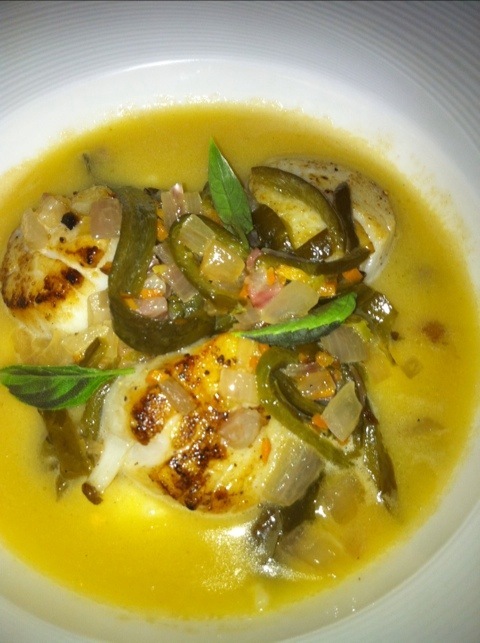 Next was the diver scallops over grits. A nice play on shrimp n grits with bacon from the jaw of the pig. Scallops had a nice char on outside with a spice mixture and were not over cooked. I would say go try them there but they are a seasonally place. Def prob one of the best places in Montgomery so give it a try next time u are in town.